2012/03/03 Vigo, Spain is online. 2012/02/28 Gatineau, Canada is here! 2012/02/16 South America is here with Valparaíso, Chile. 2012/02/05 Toulouse D is online. 2013/01/27 New Golden Horseshoe page for Canada. 2013/01/21 A small update for Florence, Italy. 2013/01/18 Busto Arsizio, Italy is online. 2013/01/10 Happy New Year, Toulouse C is here! 2012/08/19 Antwerpen, Belgium is now online! 2012/08/14 Guadalajara, México is now online! 2012/08/11 Sudbury, Canada is online. 2012/08/07 Toulouse, France Section B now online! 2012/07/01 Happy Canada Day, Burlington is here! 2012/06/25 Toulouse, France Section A now online! 2012/05/21 Viareggio, Italy is online. 2012/05/20 Brantford, Canada is online. 2012/05/01 Ottawa, Canada is now online! 2012/04/29 Buffalo, USA is online. 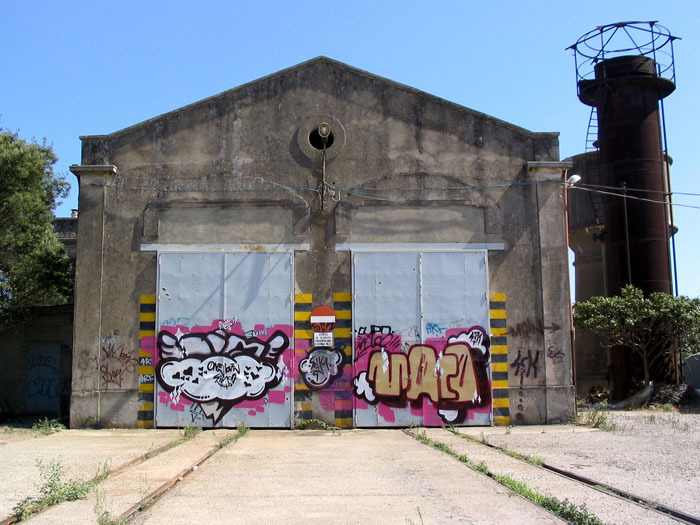 2012/04/21 New Dim, Fone, and Maco bombing in Catanzaro, Italy. 2012/03/15 300+ more photos for Toronto! 2012/03/03 Cologne, Germany is online! 2012/02/19 Some more bombing in Hamilton. 2012/02/04 A small update for Toronto. 2012/01/28 Thorold, Canada is online. 2012/01/21 100+ photos for Rome. 2011/10/28 Antibes, France now online. 2011/10/20 300+ photos for Toronto! 2011/10/06 Update for Salerno, Italy. 2011/10/14 Updates for Hamilton & Mississauga are here! 2011/10/06 St. Catharines, Canada is here! 2011/10/04 Alicante, Spain is online. 2011/09/25 100+ photos for Toronto. 2011/09/13 More Johannesburg with new commuter trains section! 2011/09/06 Niagara Falls, Canada is online! 2011/08/31 La Penne-sur-Huveaune, France online. 2011/08/26 A couple photos for the British London. 2011/08/23 Small update for Johannesburg, South Africa. 2011/08/21 New Toronto photos and writers pages now online. 2011/08/20 The Canadian London is here! 2011/07/16 Markham, Canada is now online. 2011/07/16 Another small Toronto update! 2011/07/04 Toronto update with over 160 new photos! 2011/05/31 Matosinhos, Portugal is now online. 2011/05/26 Tons of new photos for Toronto! 2011/05/17 Update for Toulon, France. 2011/05/03 Toulouse, France is online. 2011/04/28 A Toronto update focused on FORD, Toronto's most controversial writer. 2011/04/19 Over 100 new photos for NYC! 2011/04/17 Toulon, France is online. 2011/04/15 New photos for Toronto. 2011/04/14 San Francisco, USA is now online! 2011/04/11 Finally, a little bit of Genoa, Italy. 2011/04/10 Almada, Portugal is online. 2011/04/09 Agde, France is online. 2011/04/08 Small update for Toronto. 2011/04/07 Almost 200 new photos for Montpellier! 2011/04/06 Perugia, Italy is online. 2011/04/05 Mississauga, Canada is now online! 2011/04/02 Pesaro, Italy is online. 2011/04/01 Happy April! New photos added for Salerno, Italy. 2011/03/31 Here is Cleveland, USA! 2011/03/30 Vila Nova de Gaia, Portugal is online. 2011/03/29 Mataró, Spain is online. 2011/03/28 Another slice of the Big Apple, NYC update. 2011/03/27 Pérols, France now online. 2011/03/26 Lunel, France is online. 2011/03/25 70 new photos for Girona. 2011/03/24 A small start for NYC now online! 2011/03/23 Montpellier, France is here! 2011/03/22 Bessan, France now online. 2011/03/19 Big update for Toronto. 2011/03/17 Pézenas, France now online. 2011/03/16 Fabrègues, France now online. 2011/03/13 A small update for Lisbon. 2011/03/12 Salerno, Italy is now online. 2011/03/11 Back to the south of France with Menton now online. 2011/03/09 400+ photos for Portugal with Porto now online. 2011/03/08 Girona, Spain is online. 2011/03/07 Reggio di Calabria, Italy is online. 2011/03/06 An update for Brest, France. 2011/03/04 Montreal update with new photos for KODE, SOUR, and more. 2011/03/03 Gigean, France is online. 2011/03/01 Cagliari, Italy is now online. 2011/02/26 Huelva, Spain is online. 2011/02/24 A little update for Monterrey. 2011/02/23 Frontignan, France is now online. 2011/02/22 Toronto update with new photos for GRAMS, GLOBE, CHUCK, GAS, and lots more! 2011/02/21 Balaruc-Le-Vieux, France is online. 2011/02/20 Balaruc-Les-Bains, France is online. 2011/02/18 Sète, France is online! 2011/02/15 Belgium is now online with Brussels! 2011/02/13 An update for Torino, Italy. 2011/02/12 Toronto update with new photos for MIZU, HUNCH, CRSY, MERP, and lots more! 2011/02/11 Monterrey, México is online! 2011/02/10 Lucca, Italy is online! 2011/02/06 Madrid, Spain is now online! 2011/02/02 A big update for Rome with over 300 new photos! 2011/01/27 Prato, Italy is online! 2011/01/19 The UK is on the map with photos from London, Glasgow, Edinburgh, and Belfast. 2011/01/16 Back to Detroit with a couple new photos for writers BLUR, JUE, TOM and more! 2011/01/15 Pittsburgh, USA is online! 2011/01/13 The GTA is finally here with a little from NG crew in Pickering. 2011/01/10 México is here with a glimpse of México City! 2011/01/07 South Africa is now online! 2011/01/06 A few more photos for Naples, Italy. 2011/01/05 A little update for Montreal's VC Crew with new CASTRO, APER, BANK and more! 2011/01/03 Detroit, USA is our newest addition for 2011. 2010/12/31 Over 250 new photos for Toronto with JARO, GEAH, PACE, RASR and lots more. 2010/12/22 New French cities... Angers, Cholet and Poussan. 2010/12/21 Miami, USA is now online! 2010/12/16 A little something from Como, Italy online. 2010/12/16 A small Toronto update with some HUNCH, MIZU, LERCH, PANSR and SPUD. 2010/12/15 100 new bombs added to Rennes, France! 2010/12/13 Valencia, Spain is online with over 500 photos! 2010/12/06 Almost 200 photos for Toronto including HUNCH, MIZU, STEK, GLOBE and more. 2010/12/03 Portugal is online! Come see Lisbon! 2010/11/26 Montreal is now online! Our biggest new city with 2600+ new photos! 2010/11/25 The USA online with a little something from Atlanta. 2010/11/18 A couple photos for the new Munich, Germany page. 2010/11/15 A big update with 400+ new bombs for Milan, Italy. 2010/11/14 Nice, France is online. 2010/11/13 Canada puts Oshawa on the map! 2010/11/12 Germany is now online with a little to show from Berlin! 2010/11/11 Nearly 400 new photos shot in Barcelona, Spain this summer! 2010/11/10 Marseille, France is online. 2010/11/08 Ireland is here with a few photos from Dublin, Cork and Limerick! 2010/11/07 Venice, Italy is online. 2010/11/06 A few more for Bologna, Italy. 2010/10/28 Over 300 new photos for Florence, Italy. 2010/10/27 Over 1100 new photos for Toronto, Canada! 2010/10/12 We're back and we've got lots to share! Let's start with Paris, France. 2010/06/12 A few more for Toronto, Canada. 2010/05/29 Hamilton, Canada online and another 100 photos for Toronto, Canada! 2010/05/25 Toronto, Canada 100+ photos: more MANR, SPUD, GRAMS, OREK, GEAH and more. 2010/05/23 Nantes, France and suburbs now online: over 500 photos added. 2010/04/19 Lorient, St.-Nazaire & Vannes, France online. 2010/04/15 Rennes, France and much more now online: over 450 photos added. 2010/04/06 600+ more photos for Rome, Italy. 2010/03/31 Over 3000 bombs now for Toronto, Canada: 204 photos added. 2010/03/27 Toronto, Canada: 20 photos added. 2010/03/19 Another big one for Toronto, Canada: 344 photos added. 2010/03/16 Catanzano, Italy & Crotone, Italy online. 2010/03/14 Burgos, Spain & El Ejido, Spain online. 2010/03/13 SPAIN IS HERE! Barcelona, Spain online with almost 400 photos added. 2010/03/07 Huge update for Toronto, Canada: over 700 photos added. 2010/02/27 Naples, Italy & Toronto, Canada updated: 189 photos added. 2010/02/26 Ciampino, Italy & Vittoria, Italy online. 2010/02/19 Florence, Italy updated: 175 photos added. 2010/02/15 Rome, Italy updated: 58 photos added. 2010/02/12 Toronto, Canada updated: over 200 photos added. 2010/01/23 Milan, Italy; Torre del Greco, Italy; Naples, Italy online. 2010/01/14 INTERGRAFF is established! ; Florence, Italy online.